Employers are taking a lead role in expanding the duties of pharmacy technicians. 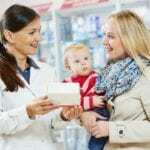 In retail settings, a technician’s responsibilities revolve around drug distribution while those employed in hospitals and nuclear pharmacies are exposed to tasks like quality assurance, medication reconciliation, inventory management, pharmacy automation, refill triage, and sterile compounding. Counting and pouring medications at one time formed the chief duty of pharmacists, but today technicians are taking this role. Pharmacists are then free to use their education and skills to improve drug therapy, provide cognitive services and patient-specific education, and move into more specialist roles in the pharmacy. The expanding role of the pharmacist thus leaves the management of the daily pharmacy operations to the technician. Technicians who are appropriately trained and certified can adequately meet the delegated functions, including compounding, dispensing prescriptions, prepackaging medications, automation, billing and reimbursement, maintenance of inventory, and much more. Based on the demographics of the aging population, the Bureau of Labor Statistics projects employment of pharmacy technicians to increase by 32 percent in the next decade. Pharmacy technician programs include comprehensive theory and practical learning opportunities to prepare students to fill the innovative role. As the technician’s role expands, it will present opportunities for greater recognition of their contributions, technical advancements, and higher income. The Pharmacy Technology Program at Augusta Technical College prepares students for a career in pharmacy. The curriculum is designed to impart the professional knowledge and skills training that are essential for success in the field. Graduates are eligible to take the PTCB exam for national certification. They have the skills to prepare and dispense prescriptions under the direction of a registered pharmacist. Students learn how to measure dosages, procure and store medications, maintain and update patient records, and perform other occupational functions. To participate in the program, applicants must pass a background check and drug screen, complete a health screen including immunizations, Hepatitis B vaccination, and a medical and dental exam, and register with the Georgia Board of Pharmacy. Persons interested in enrolling in the program must first attend an information session to learn the requirements for entry and the expectations for all students. Tuition for the 70-week diploma program is $6076. Books and supplies cost an additional $1837. Tender Care Training Center prepares pharmacy technician students for an exciting career in the field of pharmacy. The intensive curriculum provides the information and skills students need to function in various pharmacy settings (nuclear, manufacturing, hospital, and retail pharmacies) and pass the PTCE for national certification. The program is accredited and authorized by the Non Public Post Secondary Education Commission of Georgia. It is also a registered member of the PTCB. Course topics include pharmacy terminology, pharmacology, dosage calculations, dispensing medications, inventory control, compounding, aseptic techniques, the top 200 drugs, drugs and their effects, communication, pharmacy operations, and pharmacy law and ethics. Applicants must high school diploma or GED, provide picture identification, submit a background check report, and submit a 10-panel drug prior to commencing the clinical externship. The clinical externship will take place at a local retail or hospital pharmacy. Students must wear a uniform for the scheduled clinical days. Uniform will consist of scrubs, white lab coat, and white shoes with non-slip soles. Classes meet Mondays from 5:00 pm to 10:00 pm for 15 weeks on classroom and 15 weeks for the clinical experience. Tuition for the program is $1000. The course textbook and fees are not included. Training For Life Center’s pharmacy technician program includes classroom instruction and a pharmacy externship to prepare students for employment in a number of pharmacy settings. The program runs for 16 weeks. Students meet on Thursdays from 5:00 pm to 9:00 am and Saturdays from 8:00 am to 1:00 pm. Instructors cover labeling and packaging of medication, preparation of prescriptions for dispensing, procuring and maintaining an inventory of medication, updating patient profiles, billing and reimbursement, counting, mixing, and pouring medications, and performing administrative functions. Graduates are eligible to take a national certification exam to become a CPhT. TFLC provides most of the books and study materials for the course and assist graduates with job placement. They maintain small class sizes for personalized instruction, a comfortable and friendly learning environment, private tutoring, experienced instructors, hands-on training, affordable tuition, and financial assistance. By teaching students how to transcribe doctors’ orders, prepare prescription medications, label prescriptions, and interact with patients, Virginia College prepares pharmacy technician studies for the world of healthcare. The pharmacy technician certificate program requires students to complete 60 credit hours in preparation for graduation and employment in an entry-level position. The program is accredited nu the American Society of Health-System Pharmacists. Areas of study include customer service, learning framework, introduction to pharmacy, pharmacological calculations, pharmacy operations management, community pharmacy and institutional pharmacy. Other essential topics, such as pharmacology, pharmacy technician certification review, pharmacy terminology, pharmacy law and medication safety, and a pharmacy externship add to the 60-hour credit requirements. Applicants must have a high school diploma or GED. Clinical placement may require completion of a health screen, background check and drug screen. The health screen might include providing proof of immunization, TB clearance, and submission of the physical and dental exam report. Tuition for the 55-week program is $24,220.